Sunday May 5 at 11am sees the start of the third annual Rainbow Beach HOTROD ‘N’ ROCKABILLY RUMBLE, now relocated to the centre block. Another year seems to have flown by, so it’s time again to get ready for this year’s show. 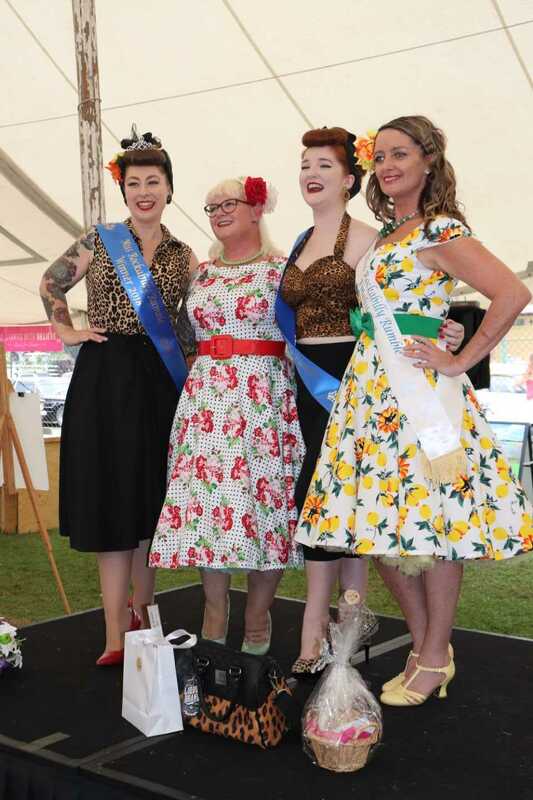 Organiser, Nick McGrath said, “With each event we’re including more and more features, thanks to the townspeople and tourists who love to attend the May Day show – more categories, more trophies, more stalls and more activities for the kids! There is always a wide range of classic cars, custom cars and hotrods, plus custom and classic motorcycles from all over the world. With live music and fashion throughout the day, expect plenty of food and beverages flowing as well, to help fundraising for local groups. For many, it’s the first time they’ve visited but surely not the last. Rockabilly Rumble rolls from 11am till 4pm at the centre block and then from 5pm till late at The Sports Club, with live rock ‘n’ roll, a local’s pageant, prizes and dancers – all for only a fiver! The annual Tin Can Bay Mother’s Day Classic is a great opportunity to support breast cancer research while enjoying a memorable morning walking in celebration and reflection. This year the walk/run will be taken along the Tin Can Bay Foreshore from Wes Mitchell Park to Crab Creek and back. The online porthole is now open so get your early bird discount by going to www.mothersdayclassic.com.au and follow the prompts under Register. There will also be the option to register and make donations on the day. For anyone having trouble with the online application process give Jess Milne a call on 0411 218 254. 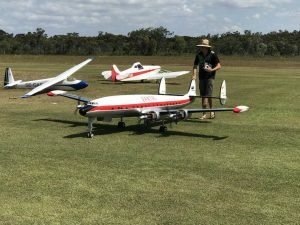 The hugely popular Warbirds weekend is on again at the Tin Can Bay Model Flying Club next month on the weekend of May 4 and 5. The grounds should be in spectacular condition as the club’s bore is operating efficiently and the purchase of a travelling irrigator allowing the watering of the runways, pits area and surrounds. We only hope the lawn grubs do not discover this lush feeding ground. The Gympie Regional Council’s grant to help with the installation of solar panels means the club can irrigate with very little cost. Last year the Warbirds Association decided to allow non-warbird planes to fly if there were insufficient numbers to keep the public entertained, and the same will apply this year. 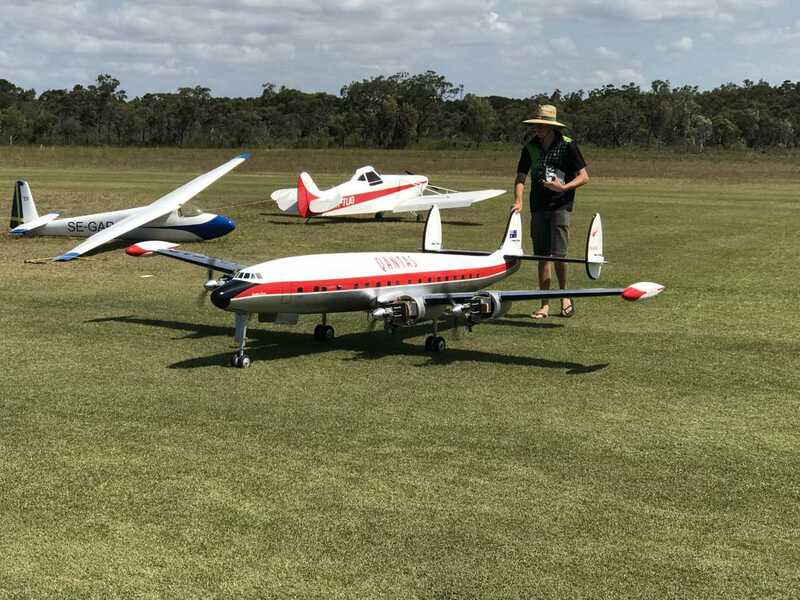 The ever-popular Aaron Garle from Rosewood, near Ipswich, will almost certainly have his Super Constellation flying on this weekend (pictured). The public will remember him having taxiing practice at last October’s Scale Model Muster, as he had only just bought the model. Since then he has become very efficient at operating this fabulous four-engined model. Aaron is sure to have his ever-popular jet here also. Other visitors are expected from Brisbane suburbs, Sunshine and Gold Coasts and north to Bundaberg, as well as Toowoomba. As usual, admittance is by gold coin donation, and the public will be catered for with a full canteen selling hot and cold food and drinks. Don’t forget the weekend of May 4 and 5 for a great two days of entertainment for the family. Further information from Neil Low, 0417 072 878.